You don’t expect a fresh take on Nordic modern to be tucked into a nondescript office park in Eagan. But take a look at Marvin Windows and Doors remodeled office space. The place not only shows off the company’s own products, featuring wide-expanses of glass inside and out, it showcases the handiwork of several Minnesota makers. 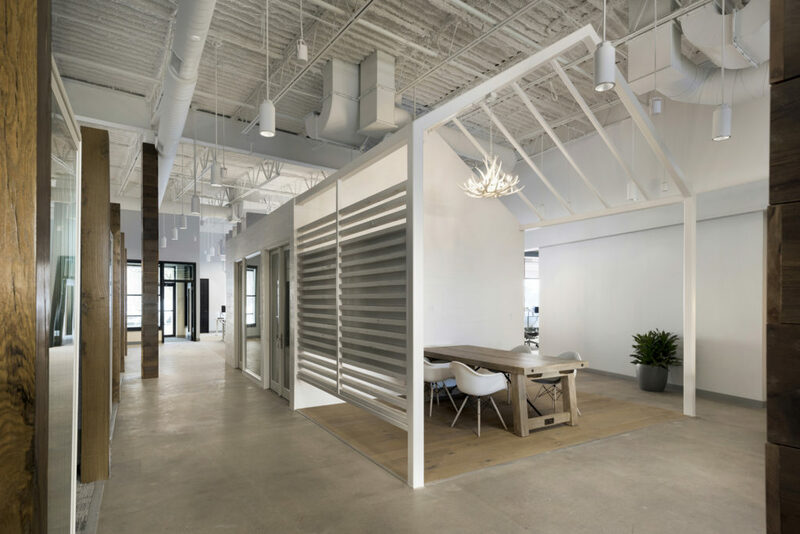 The Warroad-based company pulled out all the stops to upgrade its Eagan offices, hiring Shea Design to design a space that captures Marvin’s Minnesota heritage. From the Lake of the Woods conference room (Marvin’s HQ in Warroad is on the lake) to “The Cabin” meeting space, the place is infused with local culture. That’s intentional, says Christine Marvin, director of corporate strategy and design (and part of the fourth generation of family members to lead the company). She was intimately involved with the makeover, working with Shea to ensure the space’s utility and versatility. 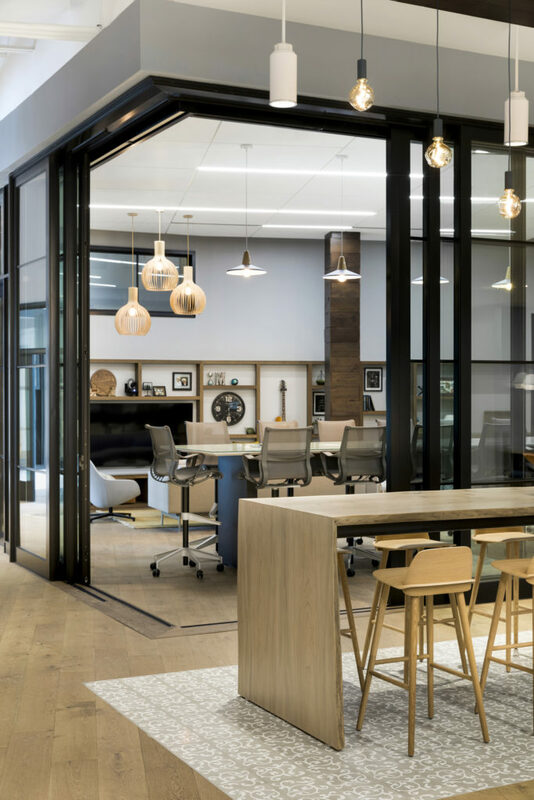 The open office environment incorporates both “me and we space,” providing areas designed for collaboration as well as privacy. Sound-proofing baffles hung strategically from high ceilings and audio white noise ensure a workplace conducive to concentration. Everything from the color palette to the furnishings delivers on the modern-Nordic-meets-the-woods vision. Minnesota companies and artisans are represented throughout—countertops by Cambria, a stunning wood table made by Wood From the Hood (the lumber’s one-time home: zip code 55407), furniture on the outdoor patio by Loll Designs, and custom wallpaper in the kitchen by She She. The wallpaper neatly encapsulates the corporate history, Christine explains. 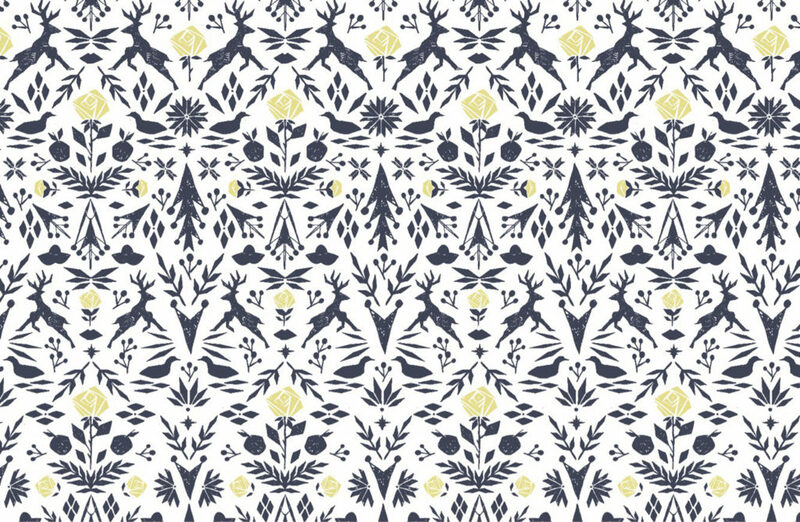 It includes a yellow rose from Marvin’s longtime logo; the North Star and a southern hat (symbolizing products made for northern windows and southern charm); a loon; and a deer. “It’s a fun way of storytelling,” she says.